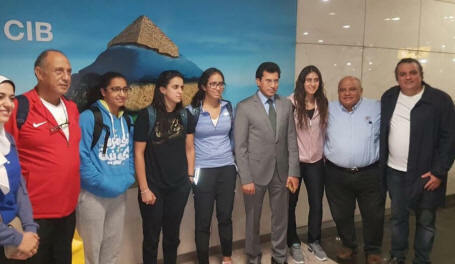 It was very early in the morning – their flight landed at 5.35 from Beijing – but we were all there to welcome the four Golden Girls back from their successful trip from the World Teams in China. 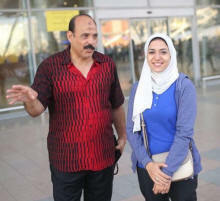 It was a nice surprise to see the Minister of Sports and Youth Dr Ashraf Sobhi up at dawn to welcome the girls. He looked very fresh, I didn’t!!! “I am indeed very keen to support the squash players and all the other sports. We are making sure that we are preparing our athletes for the Olympics and other major competitions but also that we are implanting strategy to ensure the success on this generation , but also the generations to come. 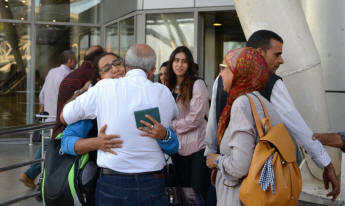 Raneem, first time captain, was greeted by her parents today, and was very proud of her team’s achievements. 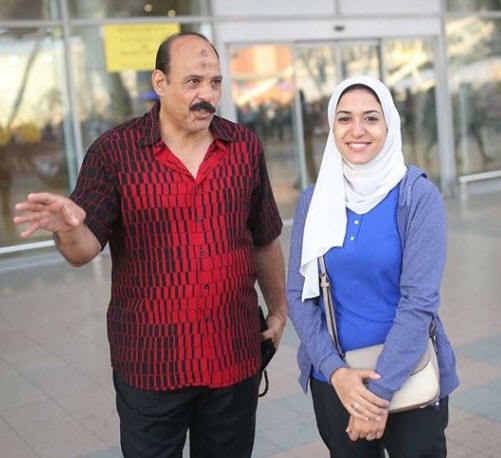 Raneem's parents were at the airport and were delighted to have a word with the Minister before The Enigma made her entrance with the Team! 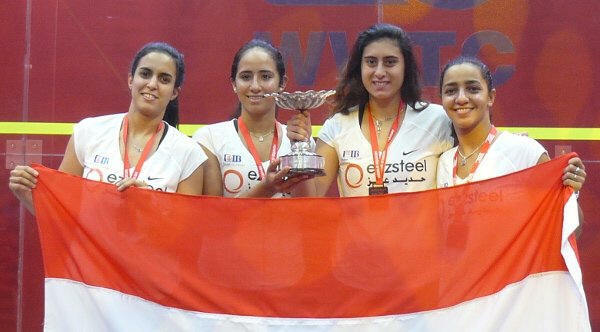 “This is not a personal victory, this is the 4th title for Egypt, and that’s what counts the most”, smiled Raneem. “the team was super this time, I played with many many teams, every time was superb, but this one was extra special for me. “Things were very tough the night before the final, but we managed to calm down, to settle down, to each think on our own what was best for the team, to make sure that I would do the best for the team. “I think Nouran played superbly, the way she started, she was on fire, and she made it very easy for me to follow actually. Shabana did a great job, he is always good with his words, he knows how to find the right words. So he spoke with us with each one of us individually and he spoke to us as a team, thanks to him. “Also, thanks to our physio, she stayed up to the middle of the night to make sure we were taking care of. It’s not an easy job but she did it perfectly. We were lucky to have her. “It’s my second title, but my first one as a married woman. Does it make a difference? Actually no! 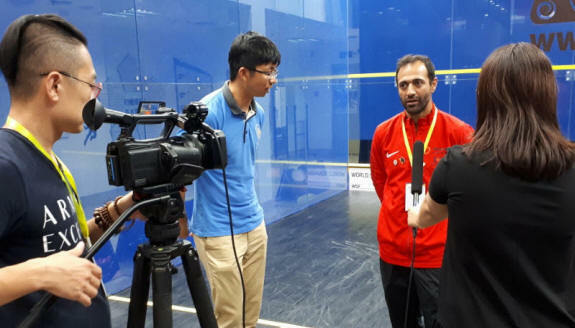 “more seriously, the whole tournament was very interesting, the whole experience, we were all very good friends, supporting each other, one loses, one winning, and we were all there for each other, which was a nice feeling, different from the PSA tournaments where everybody is selfish, and doesn’t care as much for the others. So it was very nice to care for each other for a week. “I was very surprised when Shabana told me that I was going to be the first on court. He told me “are you going to give me 100% tomorrow? I told him that I actually lost the last two times we played, and that it was very tough for me. He just said, I believe in you and I’m sure you are going to make it. “To be honest, it was very very stressful, I couldn’t sleep the night before, I was awake at 3am, and I was really nervous. But I really wanted to give everything. I was sure that Raneem and Nour would win, but I didn’t want them to go on court and be 1/0 down, it is very stressful. “in the first games, I was playing really fast to try and get rid of the butterflies, it went very fast. And when I was up 2/0, I started to calm down, I played well in the 3rd, but 5/2 up, a few decisions, and it’s turned round and it was the complete opposite. “And to come back after the 4th, I was telling Shabana, it is very very stressful, I can’t feel anything, and the referee was not as his best that day. He said, it’s the last game, just play, give it everything, and don’t forget you are not playing for yourself. And that did the trick, in my head I went just give it it all and Alhamdulillah it worked. Why do you want to speak with me, I didn’t do anything! I was a bit soon for me to play, I had a shoulder injury, I was not completely ready when the season started. Then I had a fall in Shanghai, it was slippery conditions, and I damaged my hamstring and my Achille’s tendon. But I’m glad the three other girls were in great form, and they made it and kept the title! 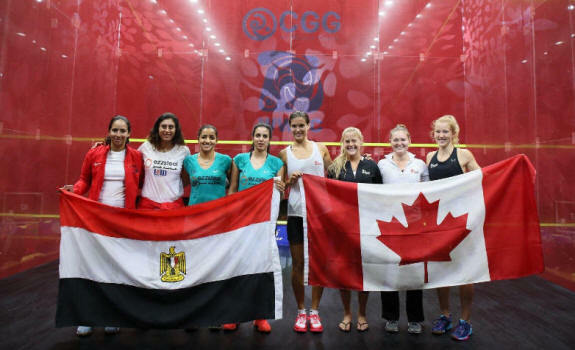 It was an honor to represent Egypt next to this amazing team, what a group of amazing players and fine ladies!! 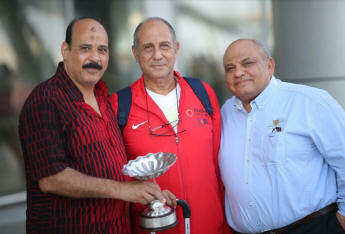 On behalf of the entire team I would like to thank our Coach Amr Shabana, for his guidance throughout the entire week. Many thanks to our physiotherapist Doaa Zahran for keeping us in the best form for our matches here. 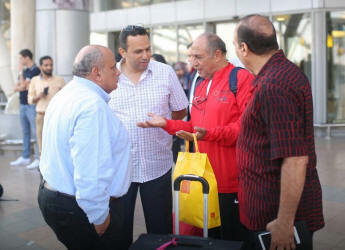 And also to our manager Mr. Hani Hamouda. 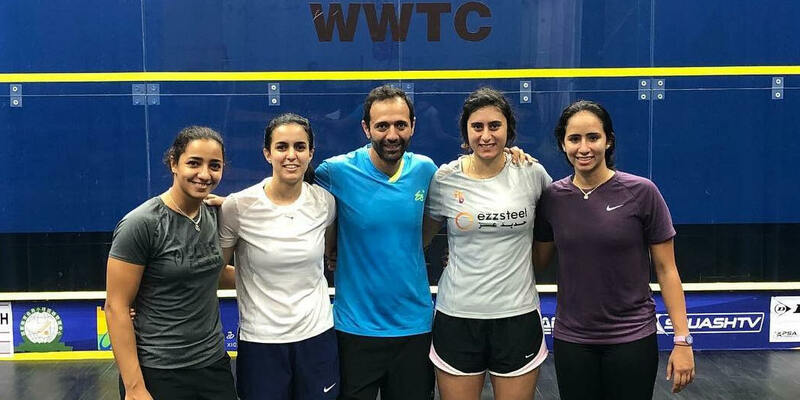 We would like to dedicate this to Dr. Samiha Abou Elmagd, may her soul rest in peace, without whom, we wouldn't be standing here today and Egyptians women's Squash will not have been what it is today. This one is for her. Egypt's women's squash team won the world championship for the fourth time in its history, and the second consecutive. "We were fairly confident Alison might be able to get us off to a decent start with her track record against Gohar. 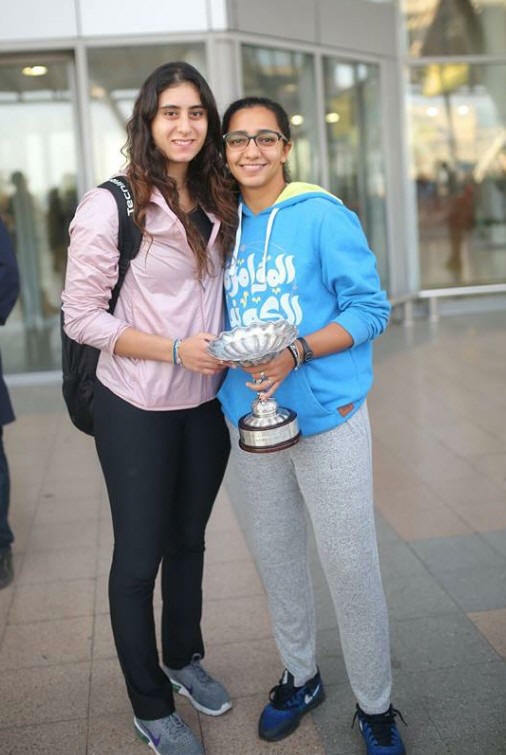 But, to be fair, both Raneem and Gohar played really well for Egypt – both played superb squash. And from 2/0 down when Al came back I thought she might be able to do – but it wasn't to be. "They both gave it everything. Laura's match with Raneem was a quality match. Raneem was superb and when she plays like that she's very difficult – she beats everybody when she plays like that. An incredible performance today from the Pharaohs in Dalian, China, as if Egypt was favourite on paper, boasting World number 1, 2, 3 and 6 against England, World number 7 8 10 13, it was not THAT simple. 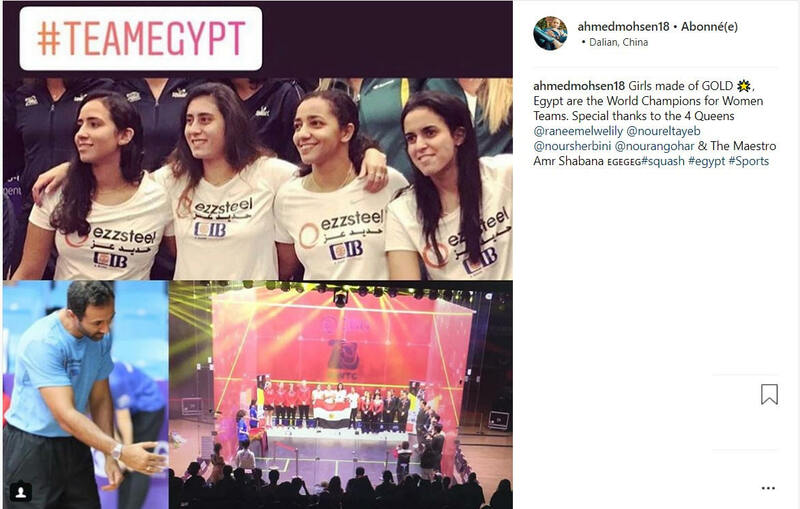 Amr Shabana, four time World Champion and coach to The Pharaohs, had a difficult choice to make today. 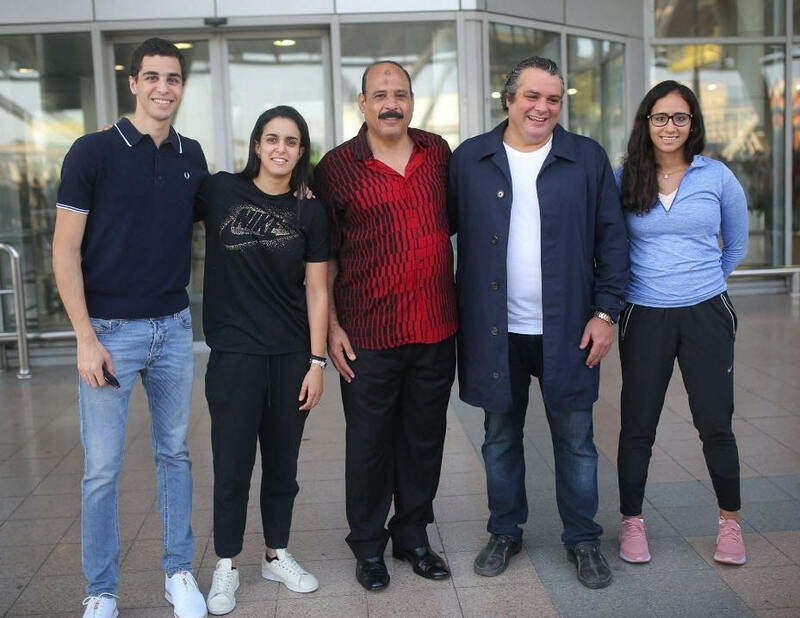 As Nour El Sherbini, not at the best of her form, had lost her last two matches in the competition against Annie Au and Joelle King, the Maestro took the decision to rest the World number 1. And that was a gutsy decision, especially if you look at the stats for the other matches! 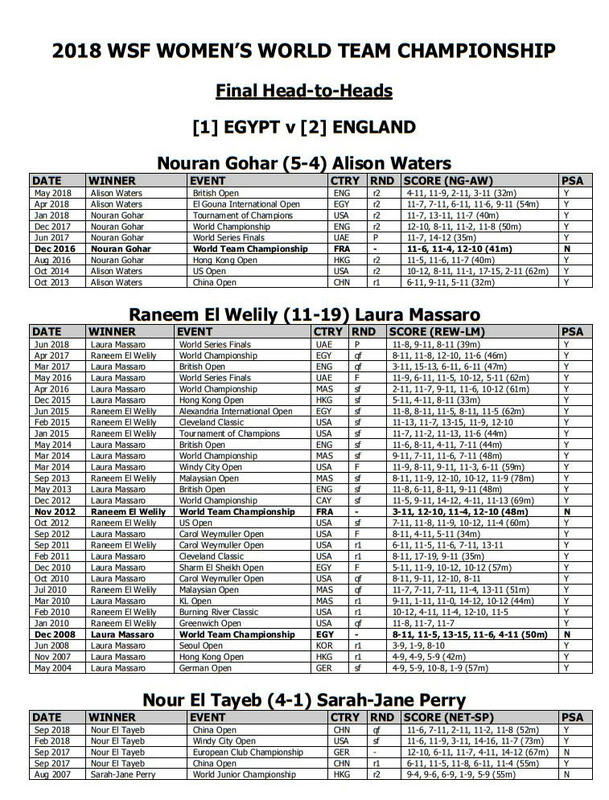 Terminator Nouran Gohar was going to be first on court against Alison Waters, earning her 140th international cap for England and who had beaten Nouran in their last two meetings, in Gouna and at the British Open. 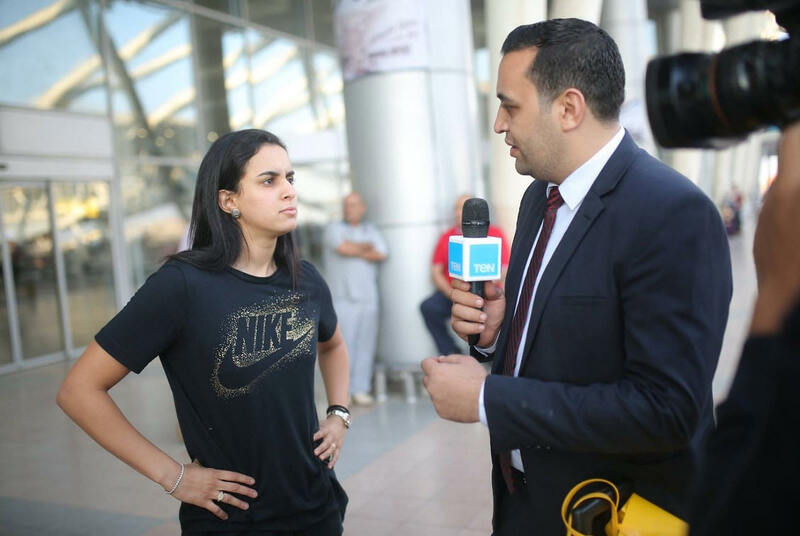 Then on would go Enigma Raneem El Welily against the Iron Lady Laura Massaro: there again the bet was not won in advance, as out of 6 matches, Raneem only one once…. But Shabana was counting probably on two factors: First, the stats, with Nouran beating that same Alison Waters in the last World Team match, and Raneem’s only victory against Laura in those 6 matches was … the Worlds. When it realllllly mattered. And the second was the “Egypt Shirt on your back” factor: that did the trick…. It was not easy for the people on the bench at any time if Nouran took the first 2 games only just, 11-9, 11-9, she then lost the next two 6-11, 7-11. Where the ghosts of her last two defeats going to overshadow the Egyptian chances? The nails of the Egyptian Camp were getting shorter and shorter. But finally, the Wadi Degla lady closed it down 11-7 in 55m, very much to the relief of her benched team mates. On went Raneem, with a great start, 11-3, then 11-8. But as she always, always does, the Iron lady fought back, 10-8, and if Raneem saved a game ball, Laura shortened the deficit 11-9. Again, mental battle for Enigma Raneem, who knew what to expect from the English. 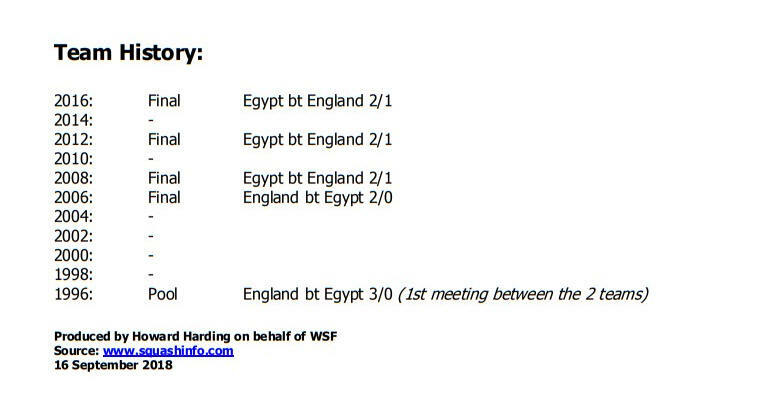 No trembling in the 4th though, and the Egyptian sealed the English Fate to a second silver in two editions, 11-3, 36m. 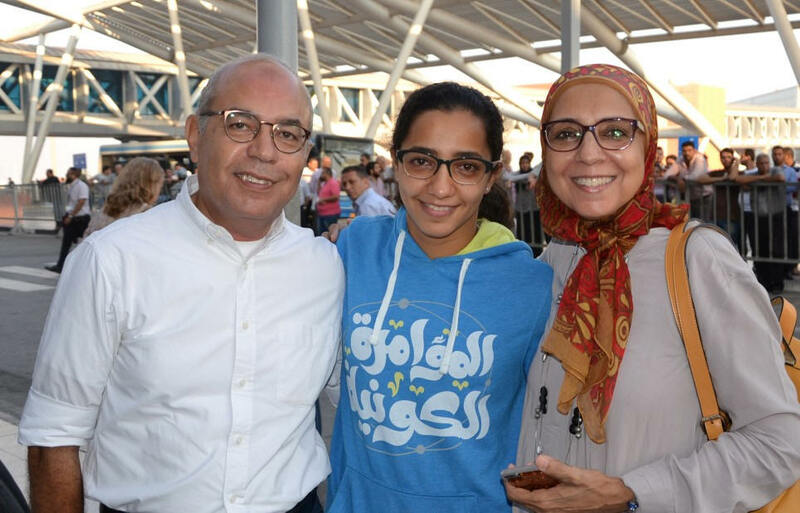 Incredible to think that Raneem El Welily wins her 4th world Team title, confirming her Egyptian Icon Statuts, after having been the first ever Egyptian Athlete to become world number 1 in any sport. 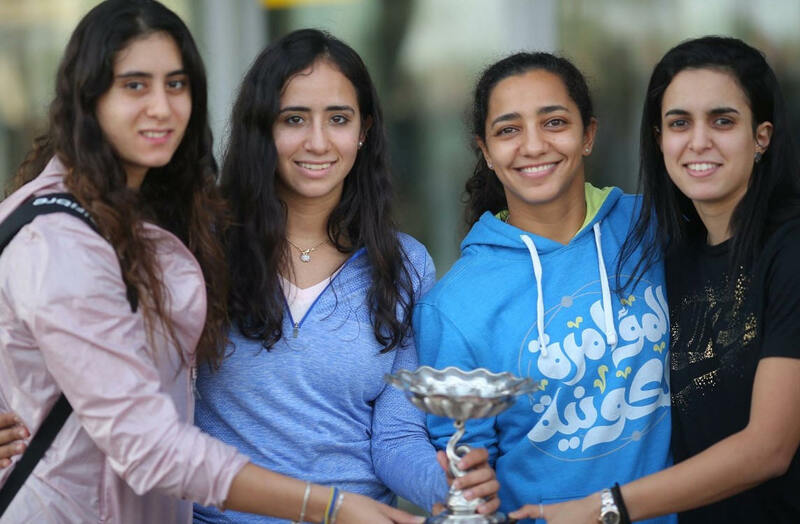 This week was always going to be about trying to manage the best team Egypt has produced in women squash in years. The target was to retain the World Open yes, but it also had to do with creating this week as a launch pad for them to kickstart and carry through for the season 2018/2019. I tried to fire them up. I asked them, just before they started to warm up, how many times they have won the world team title? I know England has won it seven times – but how many times have you won it, how many times did England win it? “It is only four. So I said, you are not exactly favourites here; you are not used to that feeling. You still have a long time before you can say you are dominant – and that’s what I wanted them to know. I wanted to remind them, it’s not us on top of the mountain, it’s actually England on top of the mountain. It’s up to us to work our way up to that. “Australia won it 9 times, so we are not even among the two best teams yet. We might be higher in the rankings but by far we’re not the most dominant nation as of yet. Yes, we’re higher-ranked right now, but people tend to think we have always been this! 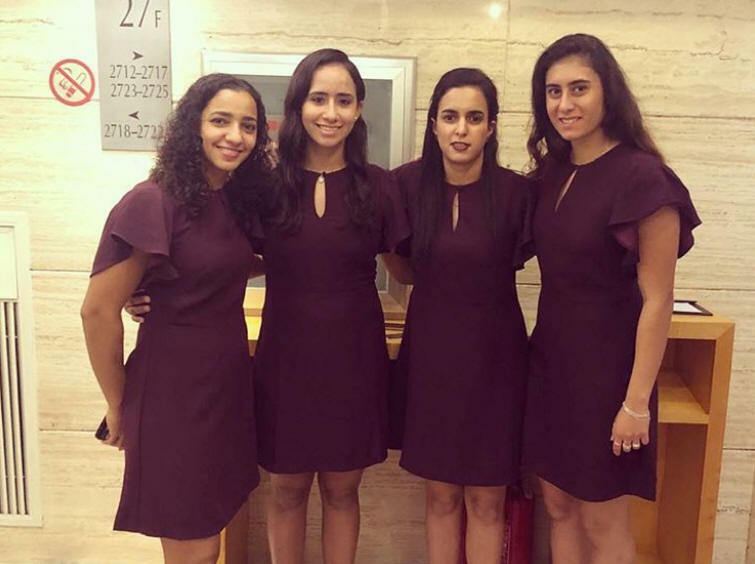 So I am very proud of the girls especially after Nour El Sherbini messed up her Achilles tendon yesterday so I am very happy that they stuck together and kept it together. It was a privilege to manage such an illustrious team and I can only hope that I did the ladies champions and our nations proud by winning the title and creating a week they can carry momentum from and push them forward to more victories through their coming season on tour. 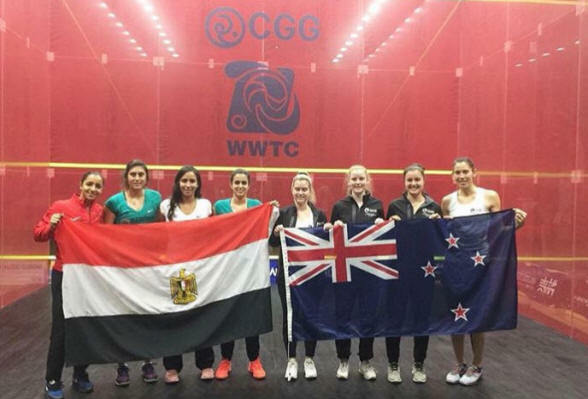 For the fifth year time in seven years, Egypt and England will contest the final of the Women World Team Squash Championship in China after the top two seeds survived semi-finals which went the full distance. 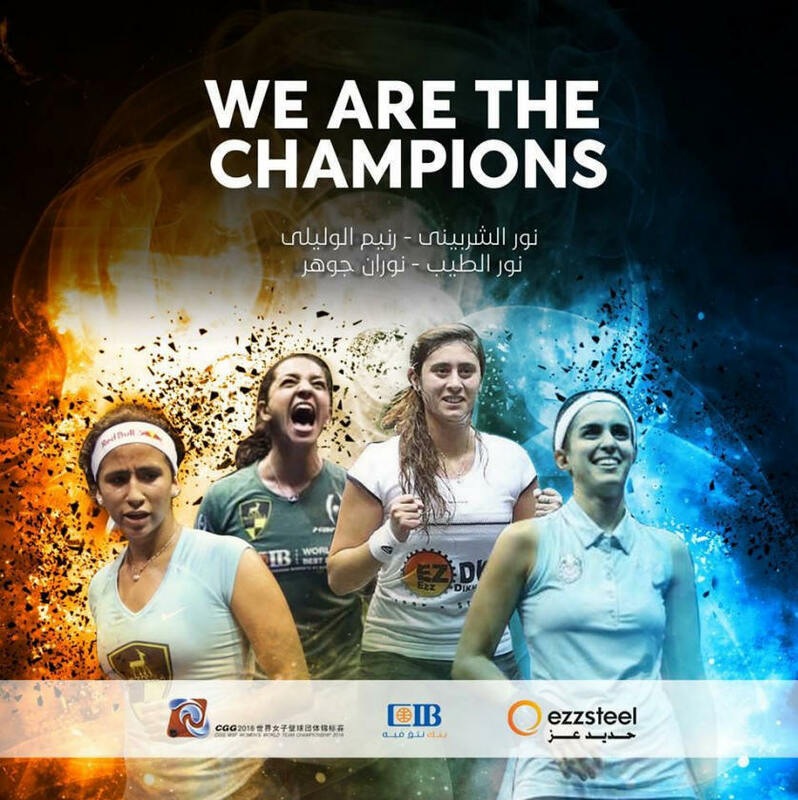 Defending champions Egypt, boasting a powerful squad featuring four players in the world top six, were the first to make the final after overcoming surprise opponents Hong Kong China, the fifth seeds who defeated No.3 seeds USA in the quarter-finals. 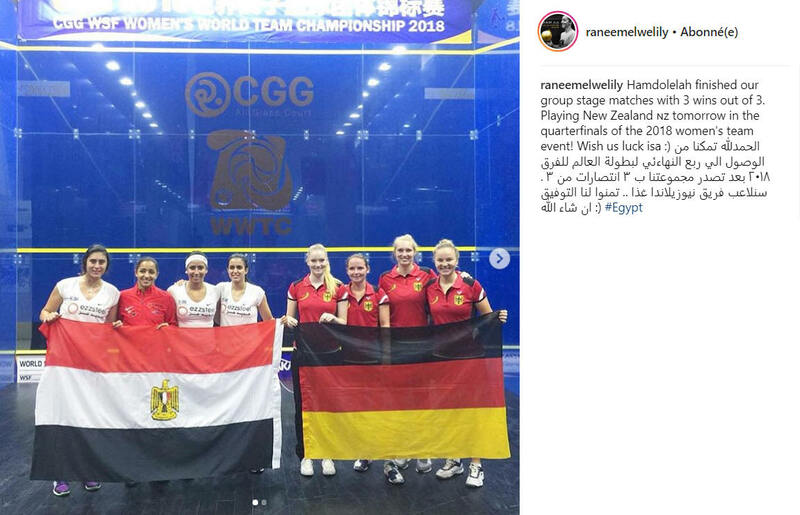 Second string Raneem El Welily, currently the world's second best player, eased Egypt ahead following a straight games win over Hong Kong left-hander Joey Chan. 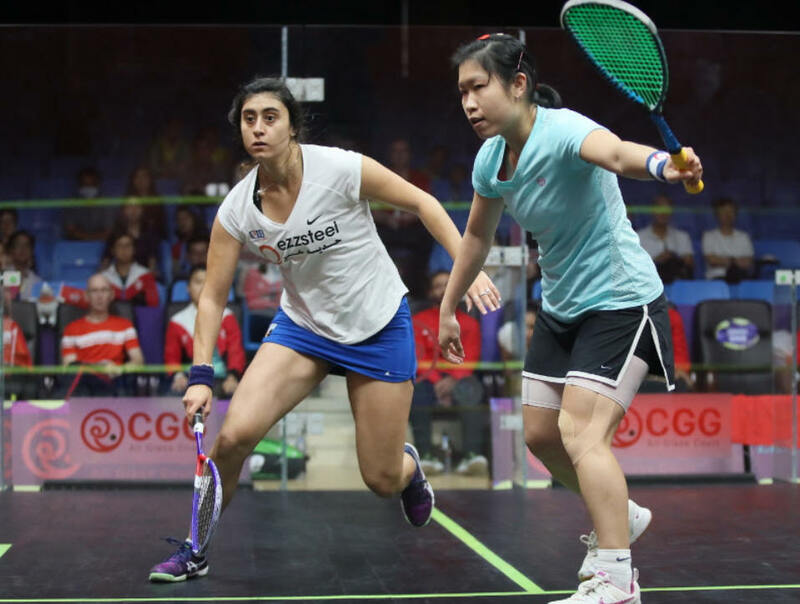 But the favourites suffered an uncharacteristic setback - for the second time in 24 hours - when top string Nour El Sherbini, the world No.1, went down in five games to the top-ranked Hong Kong player Annie Au. Au led 1/0 and 2/1 - then squandered a match ball in the fourth before finally closing out the match 11-7, 8-11, 11-9, 10-12, 11-3 to level the tie. 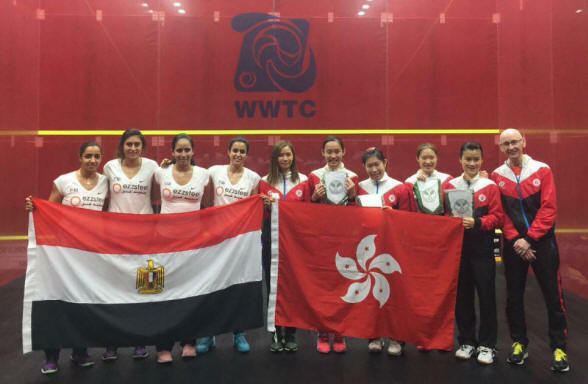 Despite a brave fight in the decider, HK event debutant Lee Ka Yi, the fourth string ranked 57 in the world, was no match for Nour El Tayeb, going down to the world No.3 from Egypt 11-6, 11-5, 11-6. Our number one player is always going to have a tricky match, but you have to give it to the Hong Kong federation - their system is amazing. I remember maybe 15 years ago, it was a surprise when a Hong Kong player did well - now it's not a surprise! 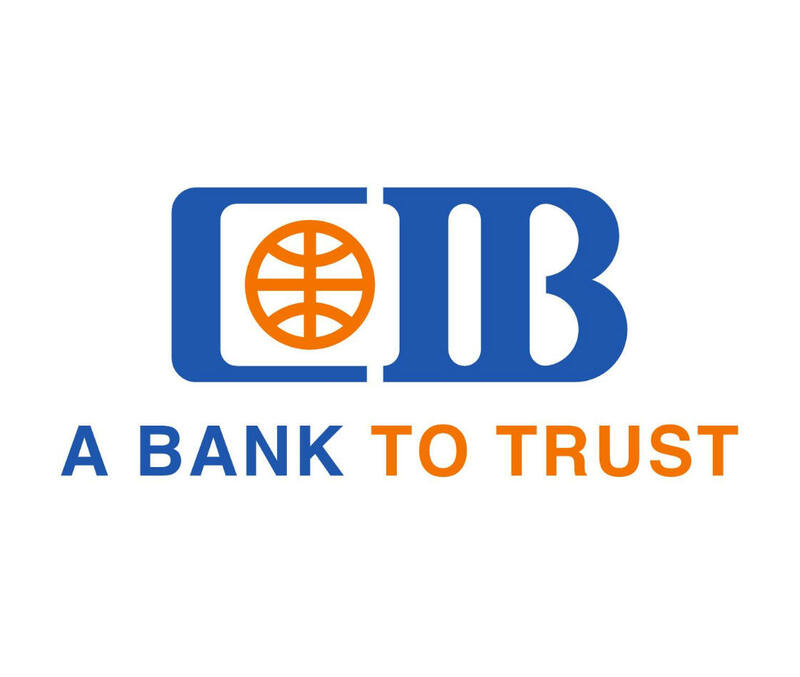 The Hong Kong federation and the national team should be very proud of themselves. Even their number four player today was playing against our number three player - and she was very promising. As the Egyptian national team, we have to be very proud to have got through this match. But we're in the final now, so as far as I'm concerned, it's job done for me. It was up to me not to lose before the final, and if we do win this tournament none of the credit is to me. We're playing with the best players in the world and all I am trying to do is manage them and get the best out of them. Once they step out on court tomorrow it's up to them. Hamdolelah made it to the semis after winning a tricky tie against New Zealand.